Are you looking for brand new corporate holiday gift ideas clients will love? 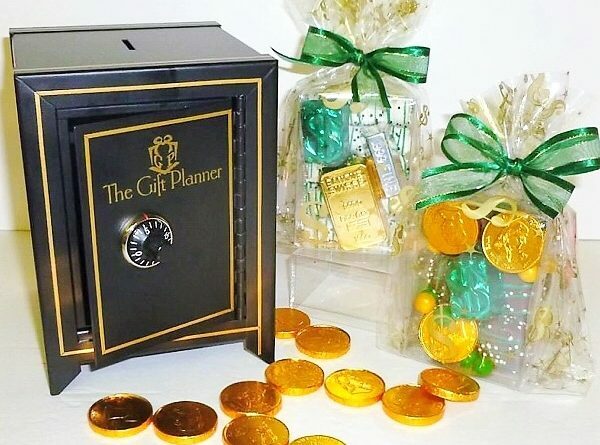 The Gift Planner has unique one-of-a-kind gifts that you can not find anywhere else. Our specialty is creating a gift to fit your company and what you do. We take customization to a whole new level. We use your logo and message and decorate in your corporate colors. Miniature coin safe 4.25 x 4.5 deep x 6 high. Made of 24 gauge cold rolled steel. This miniature safe can be personalized, features a coin slot, a three number combination lock and models old antique safes in design. The surface is powder coated which insures long lasting durability. Filled with 2 money themed treat boxes wrapped in dollar sign pattern cello. First box filled with 12 mini dark chocolate mint flavored Oreo cookies with 1 milk chocolate foil dollar sign and 3 gold foiled milk chocolate coins. Milk chocolate candy coated “pearls” for filler (12 pearls). Second box filled with 10 mini white chocolate dipped pretzel logs packaged with 1 gold foiled chocolate gold bar, 1 silver foiled .999 fine silver bar and 1 green foiled milk chocolate dollar sign. 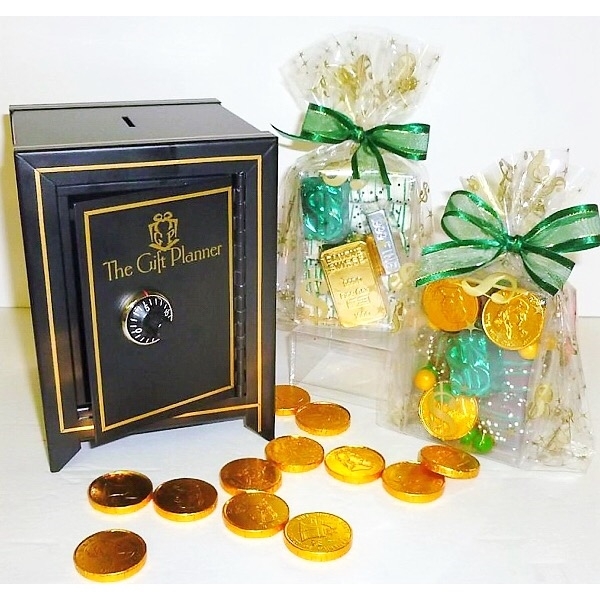 A unique one-of-a-kind “coin bank” safe gift perfect for any holiday. The perfect desktop work bench. Our latest gift added for 2019. The work bench measures 6 inches x 4 inches x 4.5 inches. 13 industry themed chocolate tools hand painted in your corporate colors. Any construction company or contractor should send these to clients, co-workers, family or friends. 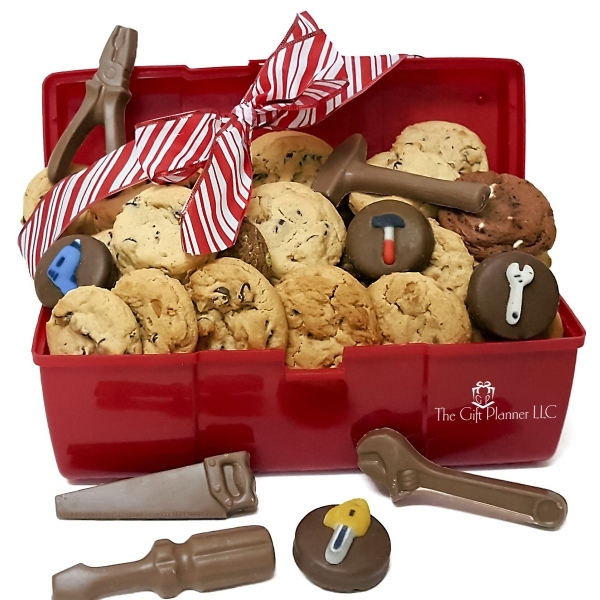 A toolbox filled with delicious chocolate themed tools of the trade and an assortment of cookies. Options to ship this toolbox gift closed or open as a gift basket. The toolbox measures 12.5 inches x 5.5 inches x 5 inches. We will put your logo on the toolbox and include a holiday gift message. 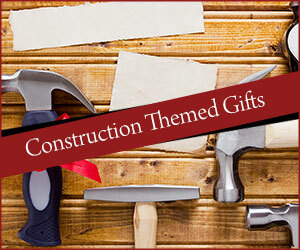 A great corporate holiday gift for any builder, handyman, or contractor. 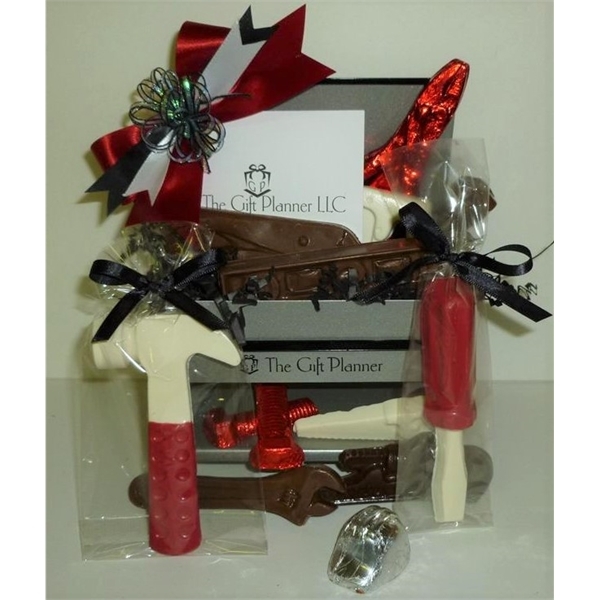 A construction themed chocolate toolbox gift perfect for the holiday season.